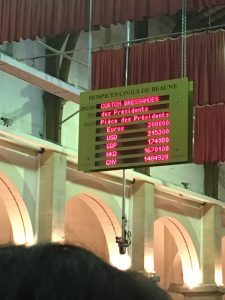 The Buyer hits the road again and travels to Beaune, capital of the Côte-d’Or in Burgundy to witness one of the oldest traditions in wine culture – the Hospices de Beaune – a charity auction that also helps benchmark the price of the new 2016 vintage. 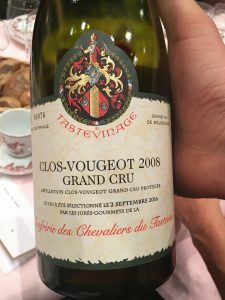 Apart from witness one bidder pay €200,000 for a single barrel of wine, we also took part in the feast at Clos de Vougeot which had moments straight out of Monty Python. 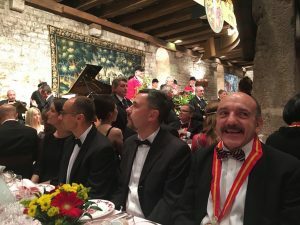 A feast that included 1500 eggs and 600 bottles of extremely good Burgundy – and that was just to get the Hospices de Beaune festivities started. A marvellous and madcap weekend followed in which €7.5m was also raised for the needy. A trumpeter in a garish red jacket is lying prone on the pavement outside some random house, horn aimed at the window. The rest of his band are pumping out a brilliant version of Je T’aime,… Moi Non Plus (obviously without the racy heavy breathing parts). And slowly they collect themselves together and wander off down the street, the romanticism and hint of melancholy perfectly in sync with the rest of the town. The growers tasting of the 2016 vintage. Amazing atmosphere. 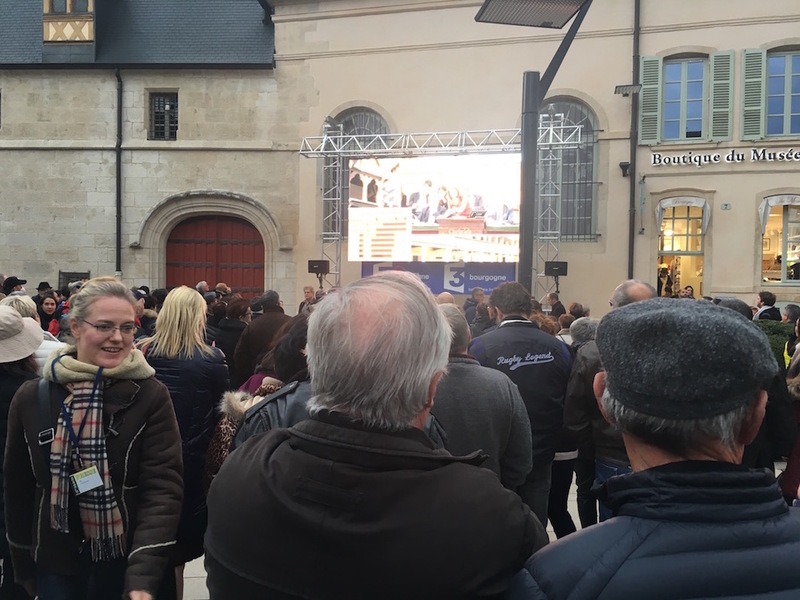 We are in Beaune, capital of the Côte-d’Or, and the celebration is for the excellent but sadly diminished new vintage of 2016. There’s a three-day festival in the town that feels like four (or possibly five). To a first-timer like me it is quite an extraordinary slice of traditional Burgundian wine culture. The whole town is packed with people drinking wine, talking about wine wandering around with glasses full of wine. Drinking more wine. Beaune has no industry apart from wine so most of the people thronging the streets will make wine for a living or at least help it to be made. 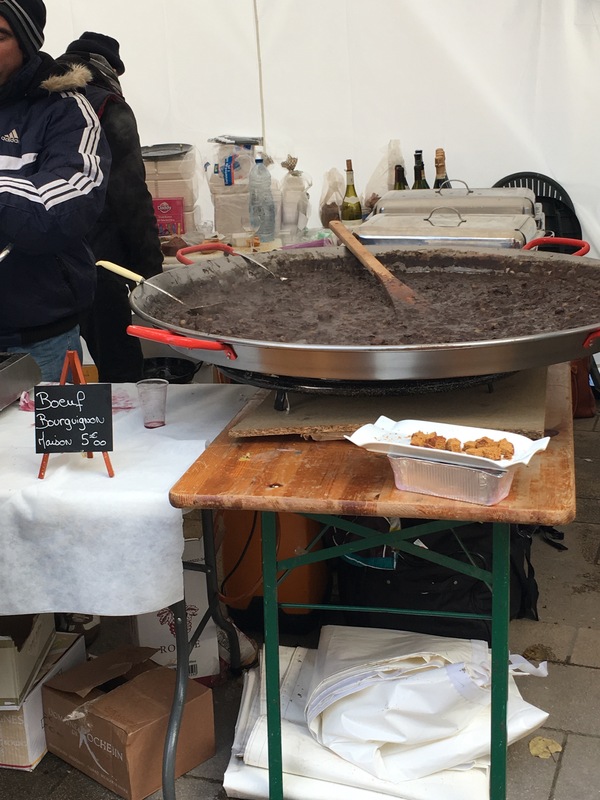 When that’s not happening they’ll be dipping into giant paella-sized pans of Boeuf Bourguignon, eating snails, jambon de persille and eating oysters with cold glasses of Chablis, which is just a stone’s throw away. And then, quite weirdly for a newcomer, they will stand in the town square, watching a giant TV screen that relays the live Hospices de Beaune auction and cheer as the prices get higher and higher. So what is this auction all about then? Like Euro 2016. Without any football. Or action. This is an auction we are talking about and, unless you’re inside with a paddle in your hand and deep pockets, just a trifle dull. There are people asleep inside – 30 minutes into what will be a five-hour event. 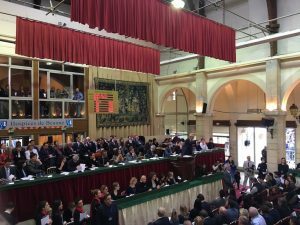 The auction (this year is the 156th) is for charity and 300-bottle casks of wine are being sold to trade and consumers alike for prices that: a/ will set some sort of benchmark for what 2016 Burgundy will be fetching when it comes onto the market in January 2018 and b/ prices that make no sense whatsoever, but are really just large acts of benevolence to the major charities that benefit. 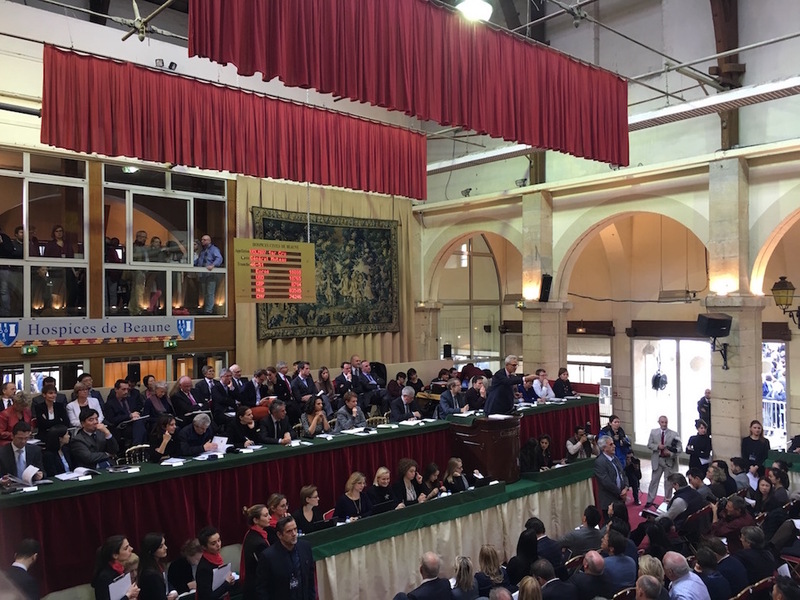 “Do I hear €200,000?” The auction gets into full swing. The Presidents’ barrel that is the cask that fetches the most money and column inches goes for an amazing €200k, the bidding goaded on by four celebrities who are sworn into the Burgundy tribe the night before at a black tie dinner and then repay the debt by getting the auction price higher and higher. One of the four, Georgian pianist Khatia Buniatishvili, throws in a private concert for the final bidder as an added incentive that is the best value and most cultured BOGOF offer I’ve ever seen. Given Khatia’s fame, the final bidder, a restaurateur from Beaune, was actually quids in on the deal I reckon, even after paying a kings ransom for the 228 litre barrel of Corton Bressandes Grand Cru. As the price of the Presidents barrel gets higher and higher I admit the auction did become very exciting – the whole thing was a bit like watching Sumo wrestling – a lot of technical and dull squaring-up and build-up followed by one flash of intense excitement. Christie’s who were drafted in to run the auction 11 years ago have drawn celebrities to the event and as a result the local and national media. 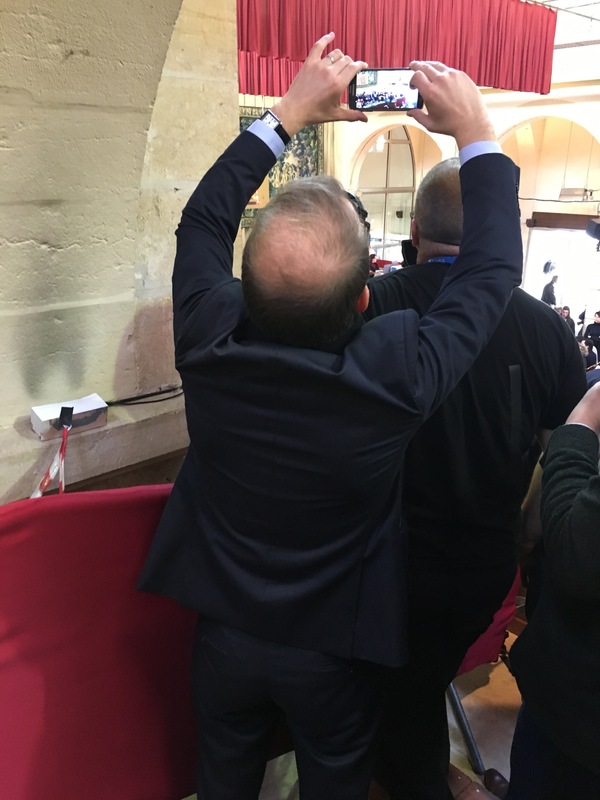 Fears at the time that it would all go online and diminish the live event in Beaune have proved to be unfounded. On no account see this man’s holiday photos. And don’t underestimate what a spectacle it is –it is quite extraordinary to see people fighting to get a picture of a cask of Pinot being auctioned. Especially as the barrel isn’t even there! 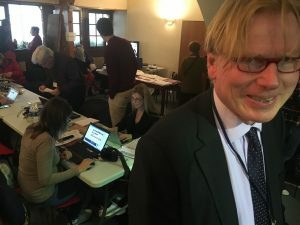 Berry Bros’ Burgundy expert, Jasper Morris, who is acting as a senior consultant for Christie’s during Hospices de Beaune explains to me that the prices at this year’s auction are a reflection of how the 2016 vintage will be seen worldwide and what price the Burgundians want to set it at. Jasper Morris, acting as a consultant for the auction. 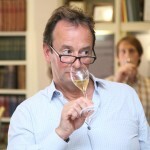 News surrounding the late April frost that crippled some appellations was sticking (“the trouble was that it made the national press not just the wine press” Morris says). 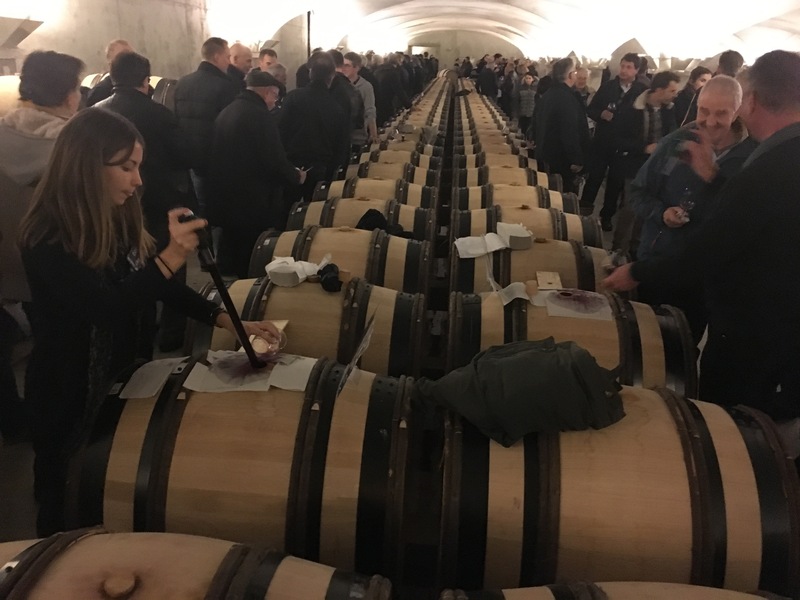 The prices for Burgundy 2016 at the auction raised 25% less than last year but were still surprisingly robust – it was still the second highest auction on record. One of the factors behind 2015’s record-breaking year, apart from the fact that ’15 is such an amazing vintage, was that proceeds from last year’s auction went to victims of the Paris terror attacks that happened one day before the auction. 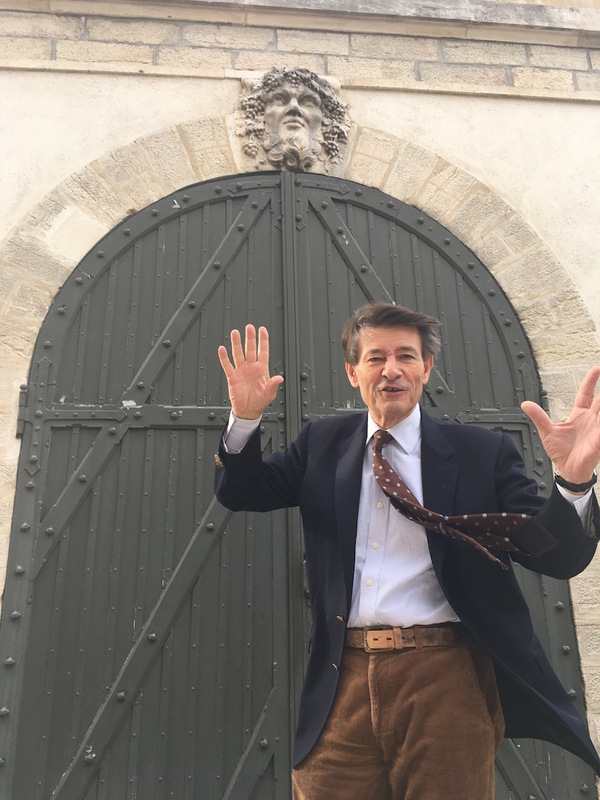 Hospices de Beaune 2016 also had its own tragedy with Hospices director Antoine Jacquet dying suddenly at the age of 64 one month before the auction, a minute’s silence for him being held at the start. 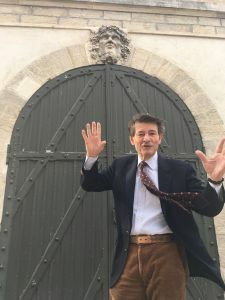 The first successful bidder at this year’s event is Pierre-Henry Gagey, president of top negociant Louis Jadot whose price for a cask of Beaune looks to be a marker for the rest of the bids that follow, none of which go above Gagey’s price for the same seven lots of Beaune. In fact this year 80% of all the 470 barrels of red wine and 126 of white were bought by negociants, 20% by private customers. Gagey is my host for the weekend…. and now my best friend ever. 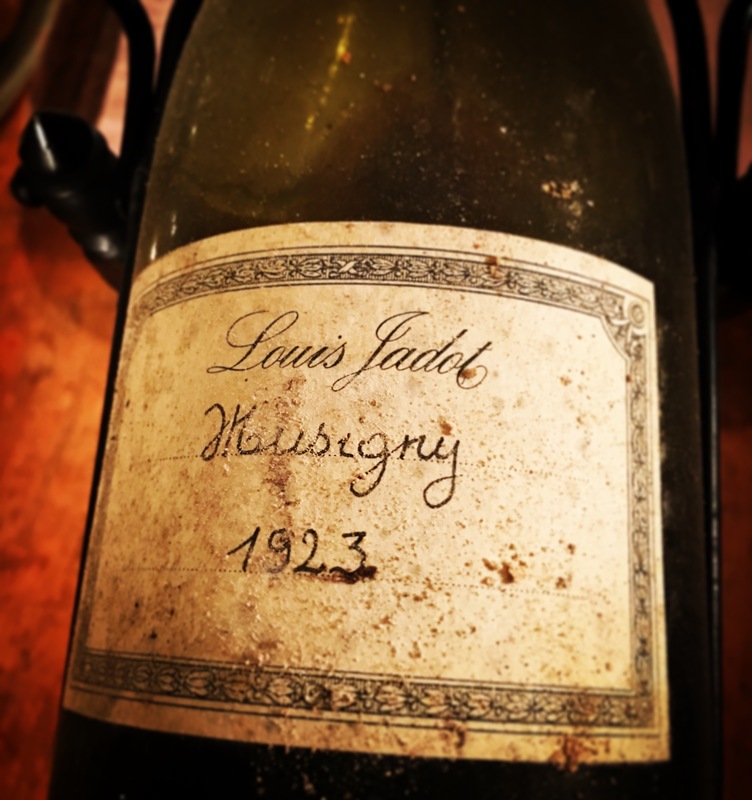 This might just be down to the fact that dinner at his house started with a Taittinger Comtes ’06 and ended with a Jadot Musigny 1923, the other wines including a Corton Charlemagne ’98, Chassagne Montrachet ’99, Chambertin ’83 and a Mussigny ’57. 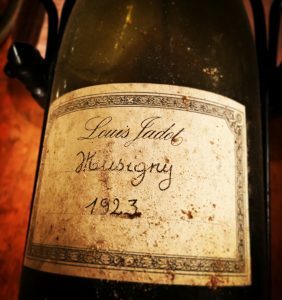 PH, as I now call him, or ‘my man!’, obviously thought the ‘57 was a little young which is why he went for a bottle with more cobwebs on… in his million bottle cellar (I’m not joking). Jadot are major movers in the market both as producers and negociants. You can tell when you’re with a player when he’s driving you to Clos de Vougeot to a giant shindig that marks the start of the three day’s festivities and the gendarme at the roadblock recognises him and waves him through. In the dark. Gerard Basset OBE (right) wearing the cup that he was previously honoured with. As he parks in the prime spot by Vougeot’s gates some security guard asks ‘What’s he doing’? and another replies ‘It’s OK it’s Jadot’. 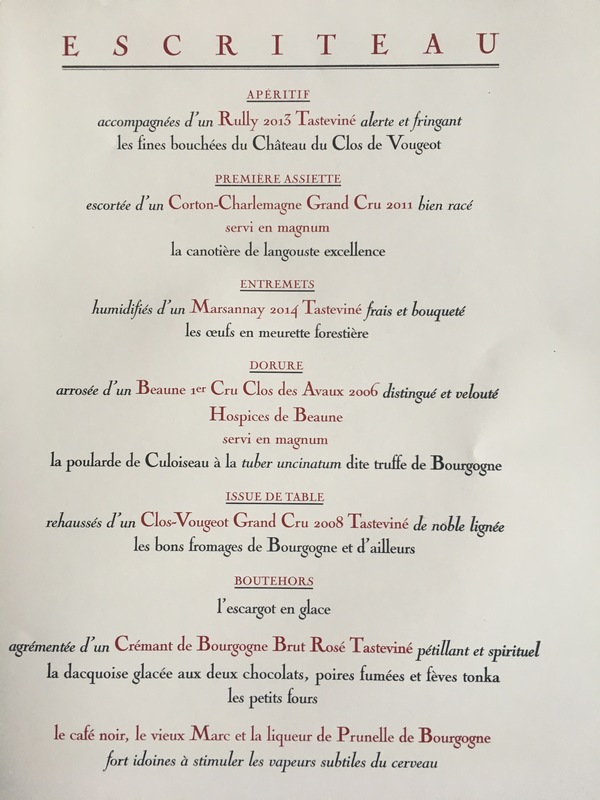 So if the Hospices charity auction and the celebrations in the town are a pure slice of Burgundian culture, then this dinner is the cherry on the top. I’ve been back in London for a week and daren’t show the missus the menu to this dinner on account of her either telling me to go and park my bike, or see the doctor about upping my dose of statins. The dinner is a serious affair and one of 14 that punctuates the calendar for the Confrérie des Chevaliers du Tastevin (Fraternity of Knights of the Wine-Tasting Cup), an organisation formed at the beginning of the 18th Century to celebrate Burgundian culture. The wines were very good indeed. The organisation recognises great achievements either in wine or other fields (this year’s four celebrities being a case in point) and also clearly enjoys throwing a Bacchanalian feast, the likes of which are rarely held. The logistics are phenomenal and we are told prior to settling in, how many bottles of wine will be drunk and even how many eggs we will eat (1500). Guys, next year maybe leave this detail out! Having attended countless large events of this kind, let me just say that the wine was spectacular and the chef deserves a Legion d’Honeur for serving up such quality fare to 500 dignitaries. The 15 sommeliers and waiting staff were incredible, working around tightly wedged-in guests, many of whom were either twirling serviettes above their heads or taking part in unusual songs that involved a good deal of audience participation. The other traditions, to the untrained eye, looked like they could have come out of Monty Python. Where else would you see Laurent Ponsot (genius vintner and star of the documentary Sour Grapes) dressed like a University professor with a man holding a staff topped by what looked like a golden Jewish wedding cake, while another ‘University professor’ banged a large wooden mallet as Claude Lelouch, the celebrated director of Un Homme et Une Femme (amongst others) was given a silver tasting cup. At one stage two enormous ice creams, both carved into the shape of a giant snail, are carried shoulder height through the banqueting hall. Best of all was, as we were leaving, a man dressed in a red suit that looked like he had just come back from an unsuccessful fox hunt, blaring his horn on his own at the bottom of a Gothic tower. Hang on…. that wasn’t the same horn player that we saw lying in the street was it? 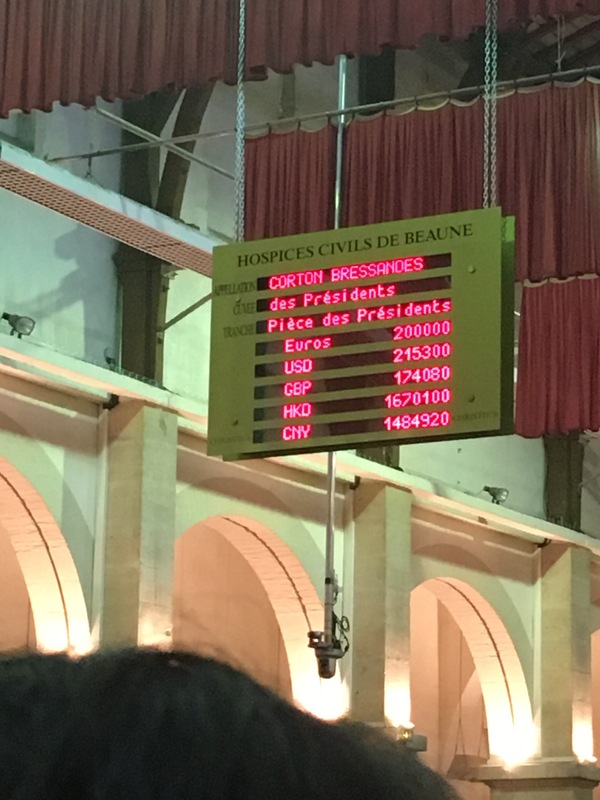 The end note is that €7,753,986 was raised for the Hospices de Beaune auction and I, like my fellow guests I’m sure, did what our host Gagey asked us to do, and that’s all take home with us a little slice of Burgundy. The slices to be fair Monsieur Gagey were very generously proportioned. Merci. That Clos de Vougeot dinner menu in full. Don’t show my doctor or the wife.